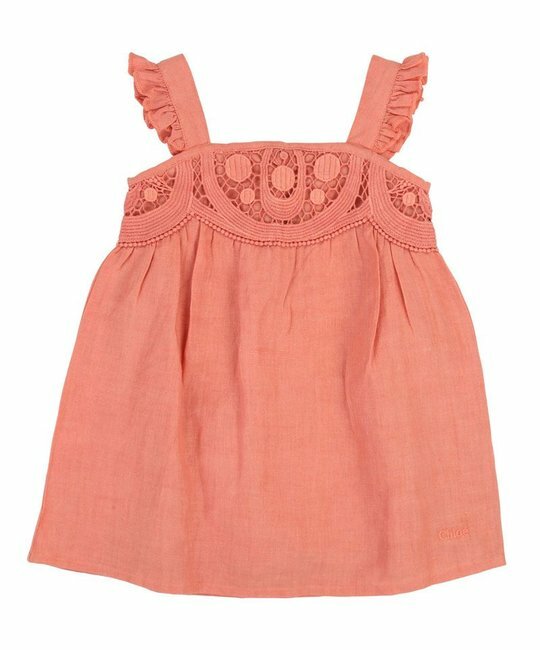 Chloé pink cotton linen sleeveless dress with embroidered detailing on the chest. Inspired by the adult collection. 50% Cotton, 50% Linen. Imported.